This last posting brings our ADA Mediation Section web page to a close after over five busy years. 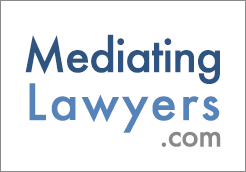 In the early days of ADA mediation, many mediators resisted the notion that specialized expertise was necessary or desired. Through dialogue, training, and experience, we’ve established credibility for some clear best practices for ADA mediators. We’ve made such strides in our field, notably the ADA Mediation Guidelines and the adoption of recommended changes in the Model Standards of Conduct for Mediators so as to ensure disability access to mediation. The publication of “Workplace Disability Conflict Management Best Practices,” below, brings us full circle in a sense. Our focus has shifted from ADA mediation as a specialized field of practice to the integration of ADA conflict management practices into standard operating procedure at many organizations. Dispute resolution skills are now a required competency for a wide range of jobs, many outside of the human resources department. If managers and employees are to welcome people with disabilities into the workplace and to address disability accommodation effectively, they will need knowledge of disability, along with conflict management competency. We are on the cusp of a culture change, where conflicts are managed internally and at a lower level . . . lessening the need for outside mediators. 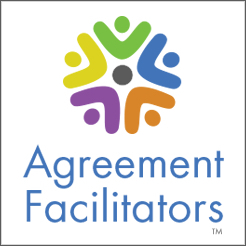 What can we, as ADA mediators, offer to guide those in the workplace who have conflict management responsibilities? What practices and procedures should be in place? What skills should managers have? When is the intervention of a neutral advisable? Disability advisory committee -- often known in business as "affinity groups" --representative of employees with disabilities in different departments, offices, or branches. Give feedback to management on how disability policies are working. Offer information to management on issues concerning people with disabilities. Disability Round Table of policy makers and managers of key programs, such as EEO, HR and branch managers. Develop policies, such as RA request procedures. National resources, such as the Job Accommodation Network (JAN), the EEOC and ADA & IT Centers (also known as DBTACs). Local community resources, such as Independent Living Centers and organizations specializing in specific disabilities. Workplace’s internal resources and contacts, such as the ADA coordinator. Policies and procedures regarding disability. Bibliography of useful ADA articles and websites. Make the resource publication available to all managers, supervisors, employees and union representatives. Include resources in all relevant publications and venues, including office handbooks and employee intranet websites. Develop it in conjunction with a disability advisory group, relevant policy-makers, and a representative group of management officials who will be implementing it. The steps of the procedures should encourage interactive dialogue. The procedure needs to include the ability to turn to a facilitated process at any stage. The spirit of the procedure should foster problem-solving at the lowest level. Job descriptions need to be up to date and identify essential job duties. Include policies and procedures regarding disability in all relevant publications and venues, including office handbooks and employee intranet websites. Consider overlapping policies, such as FMLA, light duty policies, and leave and placement policies that might, for example be used as possible accommodations. Make the procedure available to applicants as well as employees. Conflict management skills, such as negotiation and conflict resolution. Hold special events, such as brown bag speakers and a disability awareness day. Participate in National Disability Mentoring Day and other activities. Include disability-related themes on related programs, such as those sponsored by the EEO (Equal Opportunity Employment) committee. 5. Clear competency expectations for managers and supervisors. Ability to listen to employees’ concerns. Ability to express empathy about employee’s feelings about how the disability impacts them. Ability to be proactive -- not reactive -- to an employee's disability and the impact on the employee, co-workers and their surroundings. Knowledge and motivation to refer employees to organizational resources for support. Train specially selected grass roots problem-solvers, such as co-workers and supervisors, with more intensive disability-related training. Train reasonable accommodation designated decision-makers. Turn to professional facilitation providers such as internal or external ombuds, mediators and facilitators when issues cannot be resolved at a lower level. Use the ADA Mediation Guidelines to inform your facilitated practices and your training. Encourage disability special interest groups, if these groups are part of your organization’s culture. Emergency evacuation listings of individual people with disabilities, on a voluntary and confidential basis. Promote an every-day view of employees with disabilities, by publishing feature stories in your organization's newsletter, bulletin board and reports, to the extent that other groups and people are also included. Recruitment of people with disabilities at job fairs and in college recruitment. Slotting summer jobs or paid internships specifically for high school, college and post-grad students with disabilities. Training and professional development for people with disabilities. Accomplishments of goals, services available, etc. in your organization's newsletter, bulletin board and reports, to the extent that other groups and people are included. Track the speed of handling of reasonable accommodation requests and the satisfaction of employees and supervisors with outcomes. Ensure the assignment of people with disabilities in management and other leadership positions. Managers and employees to be trained and re-trained within time guidelines. Physical and electronic suggestion box type options. Periodic surveys of employees – identified as having disabilities or not -- as well as supervisors. Exit interviews including voluntary disability-related questions for self-identified people with disabilities. 10. A welcoming and supportive workplace environment. A workplace that is hospitable to everyone -- where diverse opinions are valued, where employee input is encouraged, and where employees are encouraged to be accountable and work independently -- is the kind of workplace that can integrate these ideas with the greatest ease. Welcoming employees with disabilities doesn’t happen in a vacuum, but is part of a larger cultural orientation of the organization. Be a force in fostering a positive work environment for everyone. Patricia "Pattie" Porter, LCSW Conflict Connections, Inc.